If you came here from Lisa V's blog, then you are on the right track. If not, go back to Swirlydoos' blog and start from there. We have some amazing projects for you to see today !! We have 3 manufacturers hopping and 3 designers from Webster's pages!!! Also, as an extra special twist, 2 of our designers are hiding secret prize on their blog!!!!! Make sure to leave a comment on all of the blogs for a chance to win!!! Check out Swirlydoos on Facebook and Like Us!!!! This kit, like all of the others is amazing! It's been so great to work with it this month! 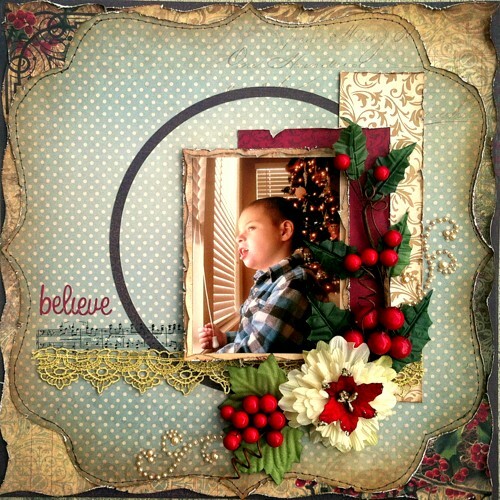 "Believe" is certain to be perfect for all of your holiday projects. It features the newest, most elegant collections by Kaisercraft, and other classically gorgeous embellishments! You haven't subscribed to Swirlydoos yet, there just MIGHT be a few of the kits left in the store, but I doubt they will be there for long! I've been waiting all year to scrap this pic I took of my son last year! Good pics of him are few and far between! I jumped right into this kit to get it scrapped. I kept the design as basic as it gets for me because the picture is quite busy with color. I tried to pull out all of the colors and add splashes of red. The lace, alphas, and pearls are from my stash. 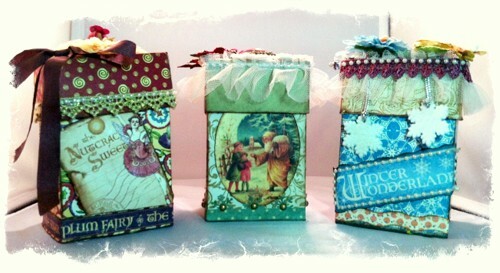 I got the idea for these gift boxes from Leah Killian's blog, and she graciously allowed me to borrow her idea! 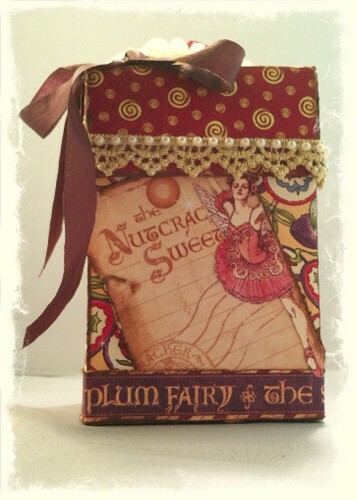 I have adapted her design into a shorter box with room for a gift card and holiday treats, perfect for teachers, co-workers, and neighbors alike! They are SUPER easy to make and a blast to embellish! If you'd like to see how I made these boxes, along with the white snowflakes with casting resin and stamps, be sure to check out my video on YouTube. NOTE: it is long, because I am showing how to make the resin snowflakes, and giving you a list of things of what not to do with the products, so you don't waste yours like I did with a lot of mine. And, there are step by step instructions on how to make the box. Thanks for having a peek at my projects! beautiful projects & I will check out your video. your OTP projects this month have me drooling! So gorgeous and creative. Amazing work. The boxes are amazing. That layout of Owen, just speechless. RAE!!! Love your lo and the treat bags. I really like those snowflakes. How cool! These are so amazing! I'm bookmarking the video! Truly creative and beautiful!! Rae, that is such a wonderful photo of Owen & you've scrapped it perfectly. As for the boxes and resins, OMG, fantastic, fabulous, awesome, I guess you get the idea!!!!! Great video, thanks for creating!!!! OMG Rae.... I am Speechless!!!! I mean I love that super gorgeous page with the faux stitching and the way you used the rubons, but those boxes are over the top gorgeous. I absolutely love them!!! Really cool! especially the snow flakes! 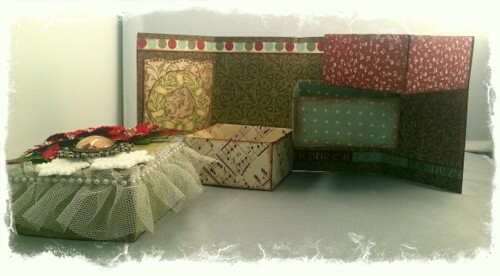 Super cute layout and Christmas boxes! My 3 favorite words, gorgeous, beautiful, and love plus divine. I do love the way you combine colors and really make your work stand out. It really is gorgeous. And I love the slideshow of your layouts at the top. You have some beautiful art. Awesome work! I love your gift boxes! Thanks for the inspiration! Great projects, the boxes are fantastic! Thank you for sharing your beautiful projects. Such a gorgeous projects. Love your camea. Gorgeous projects!! Love the top of that last box!! 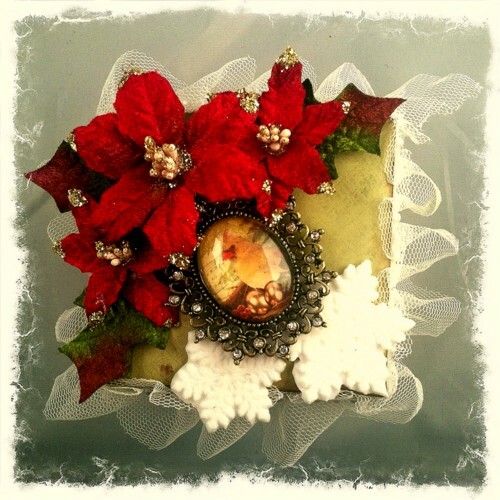 Your gift boxes are wonderful!!!! Gorgeous projects! LOVE the gift boxes! Your projects are stunning and your layout is breathtaking!!!! Ohhhhhh so sweet! I have the pattern for the gift box - they look fantastic! 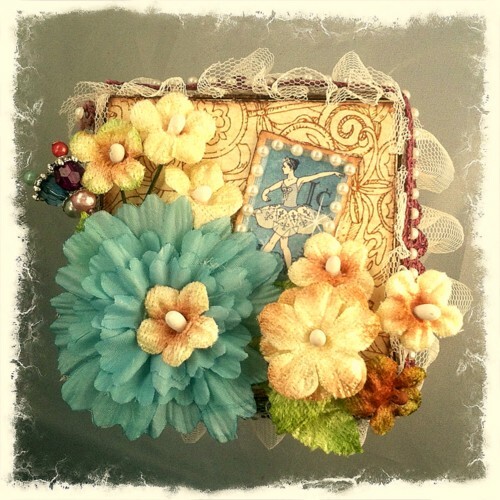 Beautiful creations, love the boxes ! your Lo is marvelous, what a believe photo of Owen. and the gift bags are darling! Beautiful work love the gift bags. Awesome LO! You waited and made the perfect page! Your boxes are just too cool. Thanks for sharing and inspiring. pretty projects! love those boxes. Love your layout!!!! These little boxes are so cute thanks for sharing. I know what you mean about photos of your son mine is the same way! Merry Christmas! Love your magic gift boxes! 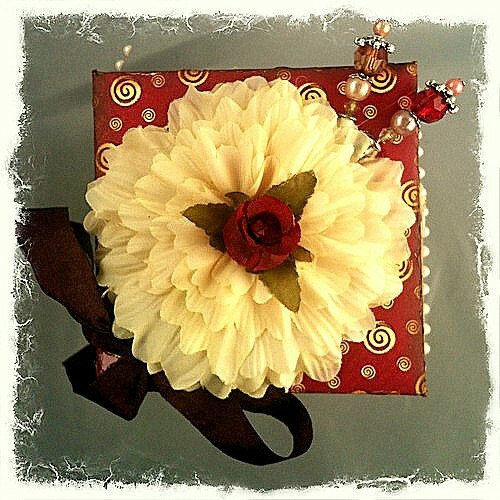 Very cool design, and love the paper and flowers on top! Thanks for sharing. 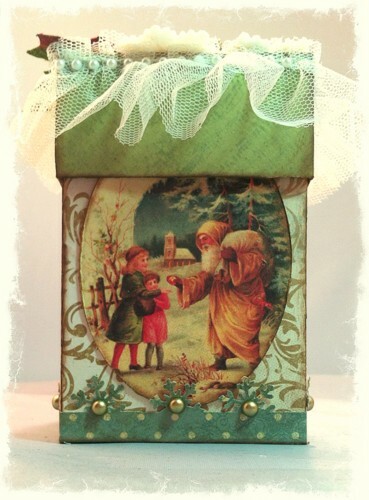 Beautiful gift boxes, and the layout of your son is great! The boxes are so gorgeous. I would love to have them under my tree! Lovely page and awesome boxes. 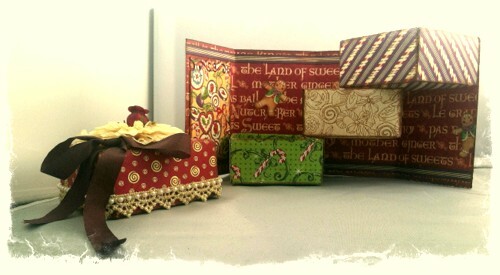 Little boxes...super christmas boxes and super embelisments to finish this lovely project. STUNNING!! I love your beautiful layout and those boxes are unbelievable!!! Good picture of your little boy. It's not often you get pictures of them contemplating the world. Thanks for the idea of the gift boxes. they are all beautiful. So much fabulousness! 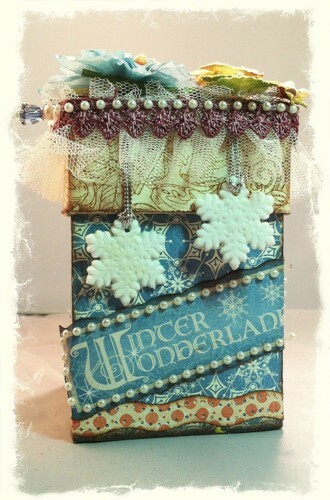 I watched the tutorial for the gift boxes last night and I am working on some today! Thanks for all your projects! Rae, I love the boxes! And that layout is amazing! 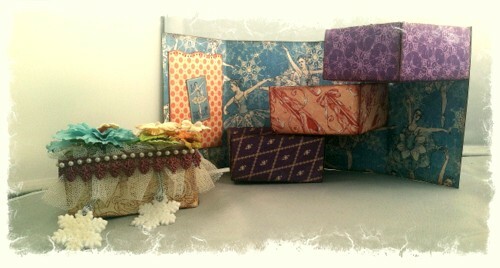 Beautiful work...love the boxes! TFS! Love your projects. They're very beautiful. You're very talented. Johanne L.
Everything is truly beautiful. So inspiring.